Senior lecturer at UCLan and also currently seconded to Lancashire constabulary part-time as the academic lead for their Evidence Based Policing Research Hub. Michelle's doctoral research (completed in 2012) explored risk factors for contact child sexual abuse within a sample of those engaging in indecent images of children. In addition to the research’s intellectual appeal, it is policy relevant in that it helped to generate evidence based decision tools for police intelligence assessment. Her doctoral research assisted with the creation of KIRAT (Kent Internet Risk Assessment Tool), a risk management tool for individuals accessing indecent images of children. KIRAT was recently reported within CEOP’s thematic assessment (2012) as “the most rigorously tested assessment tool currently available” (p.11). This tool has been accredited by ACPO to be used by all Police Forces within the UK, and has since then been extended to European and international use. 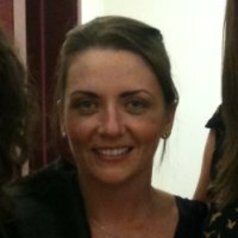 Michelle has led and been involved with various research projects with national agencies and Constabularies since 2009. This work tends to focus on areas of risk and high demand crimes, which seeks to influence policy and practice within those organisations. She lectures nationally and internationally on these topics and has published on various areas of policing, and has been a Justice of the Peace from 2007 to 2017.